From mountains to islands, farmland to the urban center. We ride bikes on tarmac, side roads, backroads, gravel paths and the trails in between. And we start by planning to ride our bikes from Bellingham. 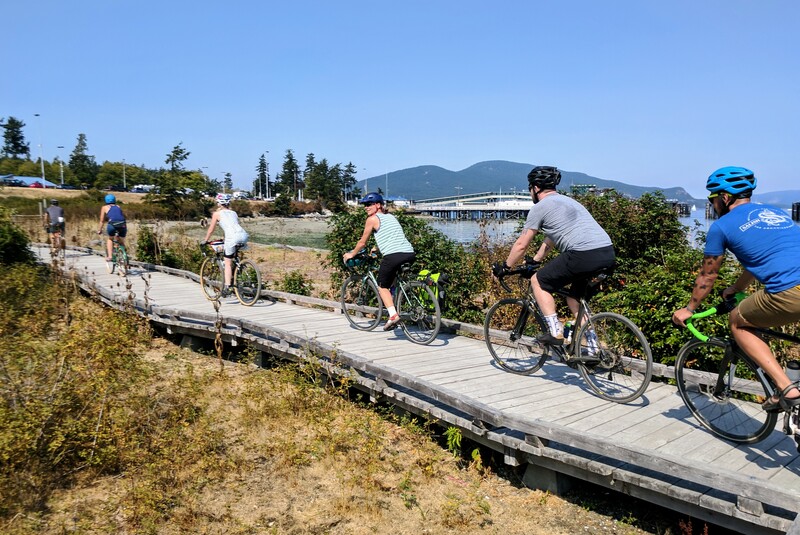 There’s a lot of great countryside, spectacular views, and plenty of bike-friendly routes that begin in Bellingham. Routes can be customized based on interest and ability. Generally, we like to plan on at least 2-3 hours on the bike with a stop or two along the way. Distance and elevation can vary, but a longer day is worth the effort when the scenery is this good. Contact us to set up a Bellingham bike tour.